Car and Driver’s 2019 10Best vehicles have been released and Holmes Honda is proud to announce that three of our beloved vehicles made the cut! Those three vehicles include the 2019 Honda Accord, 2019 Honda Civic and 2019 Honda Ridgeline. For more than three decades, the magazine has put dozens of new vehicles through thousands of miles of cumulative evaluation to dictate the annual list of the very best vehicles for sale in the US. Winning isn’t easy! The vehicle must excel at its given mission, offer good value, and most importantly, deliver a pleasurable driving experience. First, we will start with the 2019 Honda Accord. The Car and Driver 10Best Award has been around for 35 years, and of those 35 years the Honda Accord has made it onto the list a record breaking 33 times! Making the list alone is a task in itself, but 34 years? THAT IS REMARKABLE. The reoccurring placement on the 10 Best list shows just how valuable the Honda Accord is. Not only is this sedan stylish, but it is also winning when it comes to fuel efficiency, safety and performance: TOTAL DRIVER SATISFACTION according to Car and Driver! The Honda Accord is engineered to make car buyers feel smart and secure. It is safe and efficient, quiet and roomy, inexpensive yet well equipped. It is THE rational choice! In the 30 past 10Bests, Car and Driver’s main reasoning for what sets the Accord apart from other vehicles, is the way it drives. It is a sports sedan that competitors are unsuccessful at duplicating. It flows from corner to corner with predictability and satisfaction. There is a precision and controllability to the Accord that unburdens its driver from ever having to think too hard or worry about anything. The Honda Civic has made Car and Drivers 10Best for the second time. 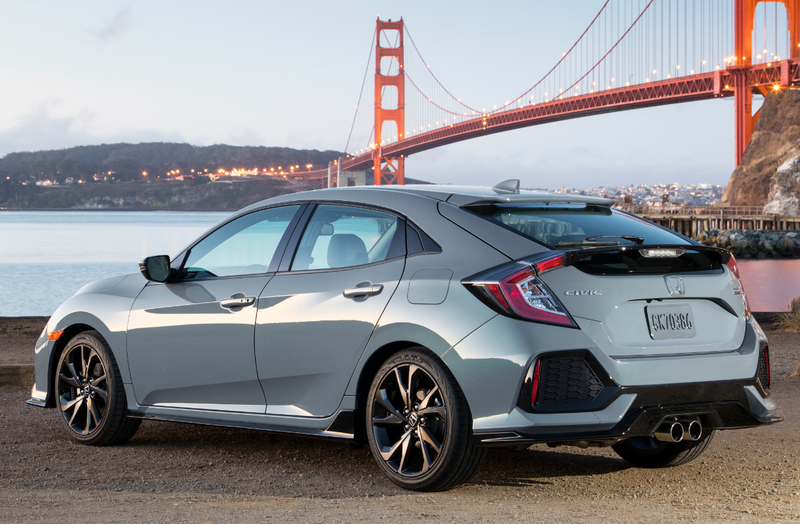 The re-designed and highly anticipated 10 generation Civic made its debut in early 2016. Since 2016 the Civic line up has grown with a few additions; The all new turbo Civic Si and the Civic Type R. The Civic Type R was one of the most highly anticipated car of 2018 & 2019 as its been a long decade waiting for it to come to the U.S. legally. 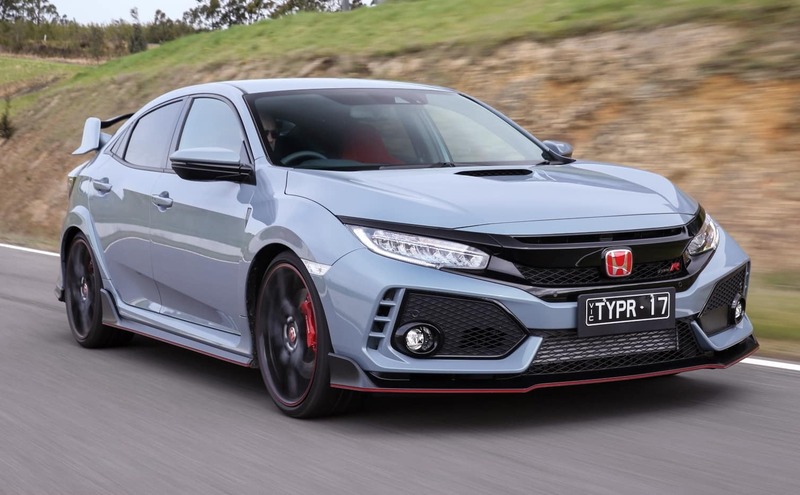 The Type R did not disappoint with its 306 horses with a 2.0L turbocharged engine and a full functional body making it the fastest FWD car in production. The Civic Type R caused a wave of excitement when it beat the Nurburgring lap time record, 7 mins and 4.3 beating the last record lap holder a full 5 seconds. It keeps up all to well with its AWD competitors while gouging their prices by thousands of dollars. Needless to say, you get a lot of car for the money. The Civic Type R is definitely one of Honda’s most legendary vehicles. The Civic Si has always been a very well known and legendary car as its very much appreciated around the world by car enthusiasts. The Si has always had a strong following in the States. The 10th generation Civic Si is the first Si to hold a turbo beneath the hood making it loads lighter than last years generation Si and faster. The Si has a fun factor to it with tactile steering and sharp responses making it the perfect car when you just wanna go out for a drive. The 10th generation Si comes with 205 horsepower and a 1.5Liter Turbocharged four engine and it only comes in a manual transmission. Car and Driver states that though both the Civic Si and Civic Type R comes with such an aggressive demeanor, it is the perfect daily driver. We are excited to announce that the Honda Ridgeline is the winner for the Car and Driver 10Best Trucks and SUV’s segment! The Ridgeline’s 5000-pound maximum towing capacity and 1580-pound payload rating are good enough for an expensive trip to a home-supply store or for lugging a decent-size boat to the lake, and the Honda has the best balance of practicality and everyday usability. The Ridgeline’s smooth and gutsy 3.5-liter V6 makes quick work of highway passing, with 26 highway MPGs. In the city the 2019 Honda Ridgeline gets an impressive 19 MPGs*. Want to talk about cargo? The Ridgeline held 18 carry-on cases inside its rear cabin and 511 ping-pong balls throughout its various front-seat cubbies, both tops by large margins over any of its competition. And then there’s that huge, lockable, and watertight storage compartment underneath the 5.3-foot bed, a well that also features a drain plug, making it a perfect, albeit uninsulated, cooler for beverages and food when tailgating. The dual-hinged tailgate is a fan favorite as well, and just might be the Ridgeline’s most convenient feature. *19 city/26 highway/22 combined mpg rating for 2WD models. 18 city/25 highway/21 combined mpg rating for AWD models. Use for comparison purposes only. Based on 2019 EPA mileage ratings. Your mileage will vary depending on how you drive and maintain your vehicle, driving conditions and other factors.